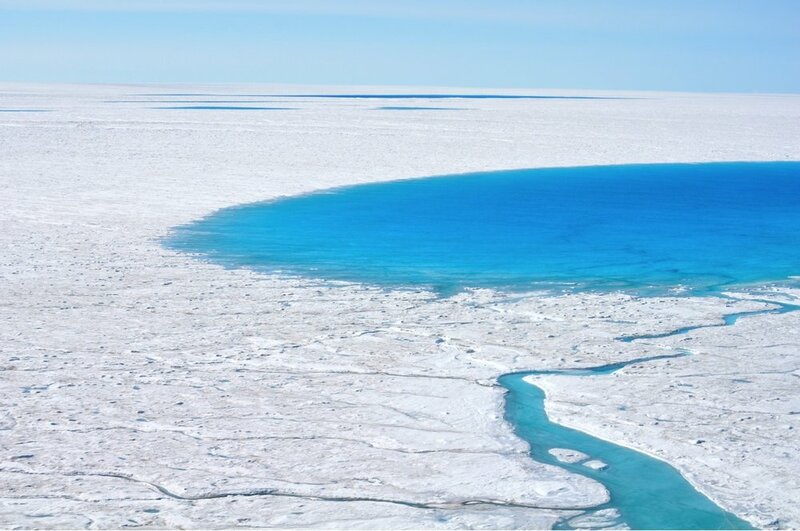 The cause of the fractures, according to the study, is tension related stress caused by movements of the ice sheet that are triggered by trickling meltwater. Click here for the entire story. The New York Times reports that climate models show the Everest region of Nepal could lose most of its glaciers by the end of this century, according to a study published in the journal The Cryosphere. The scientists’ computer model accounted for glacier melt, accumulation and redistribution and was customized with data on temperature and precipitation, measurements from the field and remote-sensing observations collected over 50 years from the Dudh Koshi basin, which includes Mount Everest and several of the world’s other highest peaks. Read the entire story here. Not all glaciers are shrinking. 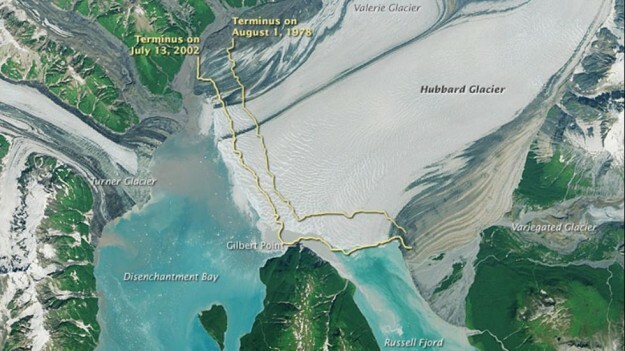 Part of Alaska’s Hubbard Glacier has been advancing into Disenchantment Bay for more than 100 years, according to NASA's Earth Observatory. In addition to its movement, the glacier has been thickening as well, bucking the worldwide trend of thinning, shrinking glaciers, reports weather.com. The National Snow and Ice Data Center (NSIDC) reports that melt season is underway, and sea ice in the Arctic is retreating rapidly. At the end of May, ice extent was at daily record low levels. By sharp contrast, sea ice extent in the Southern Hemisphere continues to track at daily record high levels.